Sheet metal fasteners or panel fasteners are available in a range of different types. If the sheet metal is to be joined then Snap pop rivets are the norm. Putting a thread on a sheet plate can be achieved by rivet nuts or clinching. Fastenerdata has over 300 Technical page details, drawings and images of different sheet metal fasteners are on the fastenerdata website. 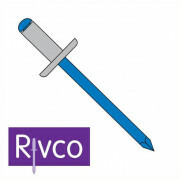 Rivets with mandrills brands such as FAR, Rivco, Gesipa, POP; with Solid Rivets, Semi-tubular Rivets and Tubular Rivets from Clevtec. 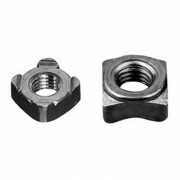 To put a thread in sheet metal there are Rivet nuts, Thread Stand-off’s, Threaded sheet metal spring clips U and J and cage nuts from SD products, Clinch Nuts, Clinch Studs and to join sheet metal without a fastener Tog-L-Loc. State of the art lock bolts for automotive and railway application are available from Huck and Fit-Lock.